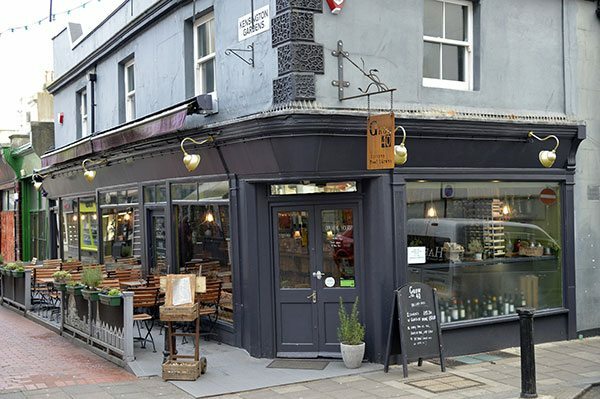 Sat just on the corner of Kensington Gardens is one of my favourite restaurants, Grow 40, a Brighton gem hidden in plain sight that quietly shines in one of the busiest parts of our little town. During the day, especially in the summer, it is almost hard to see this little diamond through the throngs of tourists who’ve only just escaped the labyrinth of Snoopers Paradise, but I can assure you it is there serving excellent food, and boasting one of the best wine lists in the city. 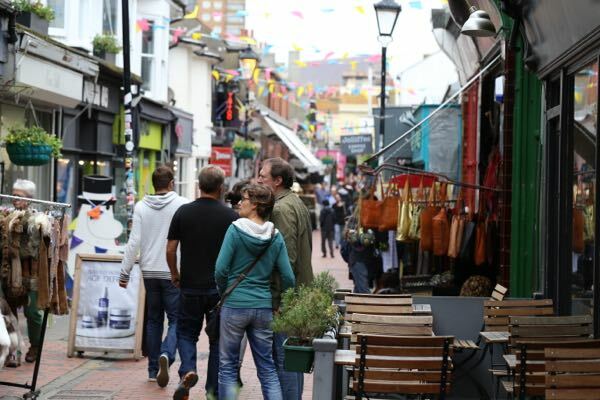 As a local Brightonian I usually like to frequent this part of town in the afternoon just as the shops are closing, and this is the perfect time in my opinion to take advantage of Grow 40’s outside patio. Sitting along this tiny promenade you can indulge in my favourite sport, people watching, while sipping French champagne in the afternoon sun…if only this was in the Olympics! Once inside it feels like a different world, miles away from the hustle and bustle of the Lanes. The decor is like a french country tasting room, with rustic furniture, simple table settings, and of course wine bottles everywhere. 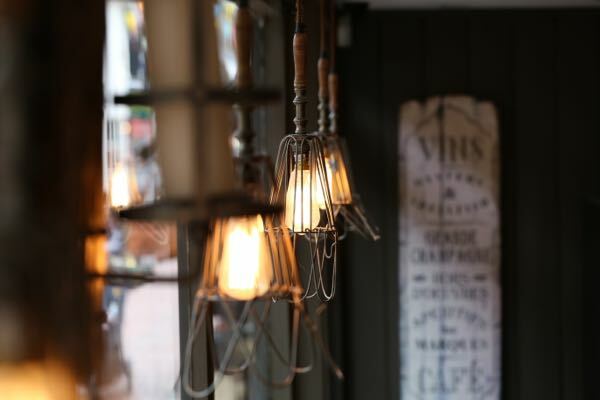 The large window lets in tonnes of light, and the music is calm and tasteful creating a relaxed atmosphere perfect for an evening out. 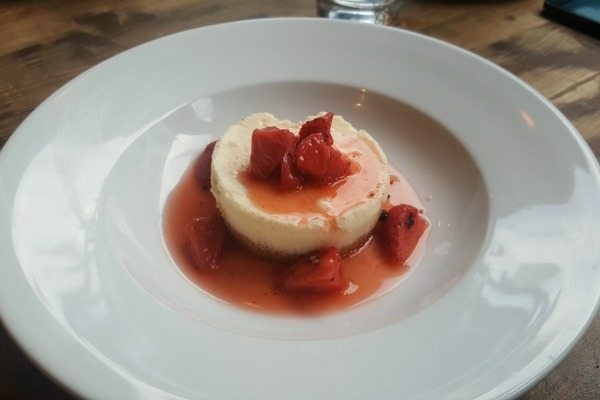 The ambience allows for all types to pass through its doors, t-shirts and shorts or first date finest, the epitome of casual fine dining and perfect for this part of town. 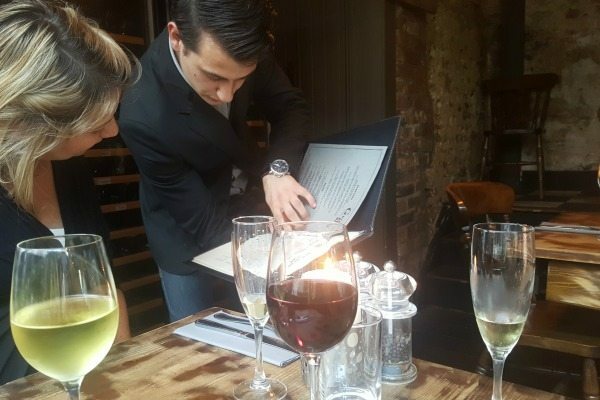 As we were seated we were handed the wine list and the menu, and we started to peruse the options. The menu in my opinion is the perfect size, less than ten starters and ten mains to choose between, and each one sounding more delicious than the next. Plenty of gluten free and vegetarian dishes, and each one described beautifully making choosing all that much harder. Lucky for us Mickael, the head chef and owner, is a friend and he offered to surprise and spoil us with a hand picked three course dinner with wine pairing, ugh life is so hard. 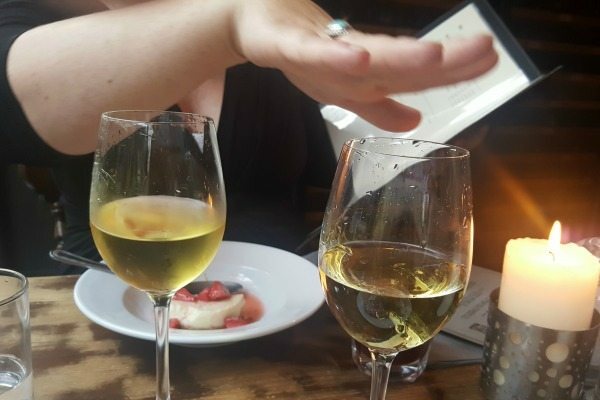 I am currently seven months pregnant so I was afraid that the wine pairing would be wasted on me, but the charming Sommelier handed me a small glass and encouraged me to simply swish and spit just like in a tasting room. Not only was this ideal for me, but it also saved my friend from ‘having’ to drink the lion’s share, which after 6 glasses may have gotten a little messy. On arrival we were given two glasses of French champagne, which were beautiful, and the perfect start to our evening. 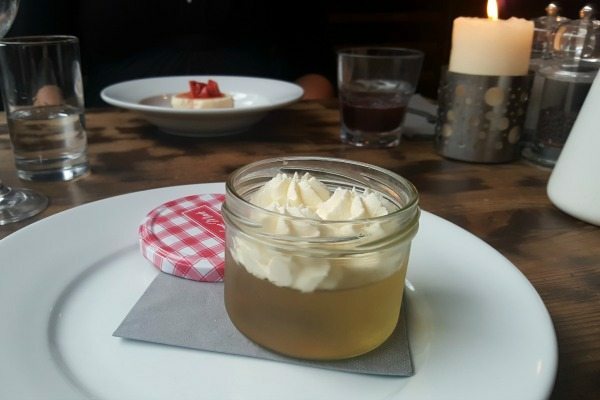 We chatted for a bit, enjoyed the cosy atmosphere, and once the bubbles were almost finished/spat we were presented with our first pairing, a Preludio Chardonay/Viognier with a plate of braised octopus. 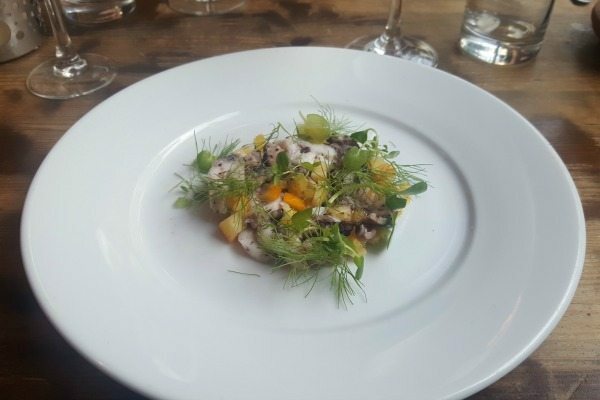 The octopus was served cold and was a delicate shade of purple chopped with pickled blood orange and served topped with fresh watercress from Grow 40’s own rooftop garden. 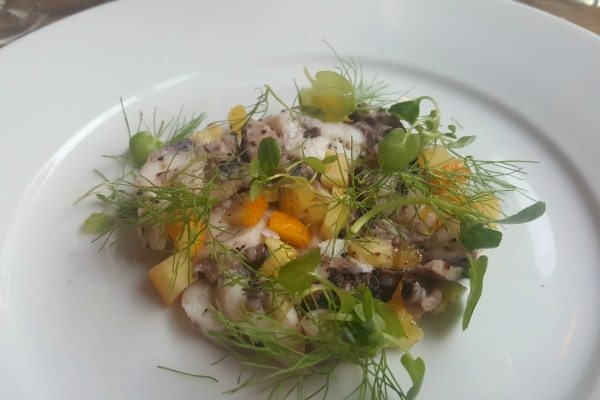 It was fresh and summery with plenty of citrus that paired beautifully with the wine, and brightened the octopus, a gorgeous dish that you would expect to find for double the price in a fine dining restaurant. 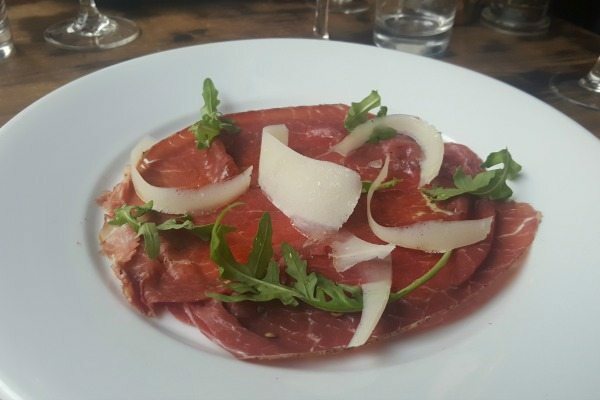 Our second starter was a Beal’s Farm beef pastrami carpaccio, which was as smoky and rich as the octopus was fresh, and it presented with a velvety Capitosos Rioja Tempranillo. As the meat was smoked and of very high quality, it was fine for me to eat and I was so thankful as it would have been hard to admire it from afar. Topped with parmesan shavings and peppery rocket, it was simple, rich, and flavoursome; a unique take on one of my favourite dishes. After the delicious first course, my friend and I went back to the menu to see what other gorgeous starters there were to choose from. We decided that we will definitely be back with the rest of the girls to try the Seared Scallops, Duck Rillettes, and Deben Mussels, in fact we may just order all the starters and ask for wine pairings for each (post baby), because why not?! Grow 40 does actually cater for groups and they have a second floor wine snug which is ideal for parties as well, and I have already suggested it for an upcoming 30th birthday party for wine loving friend, can’t wait! 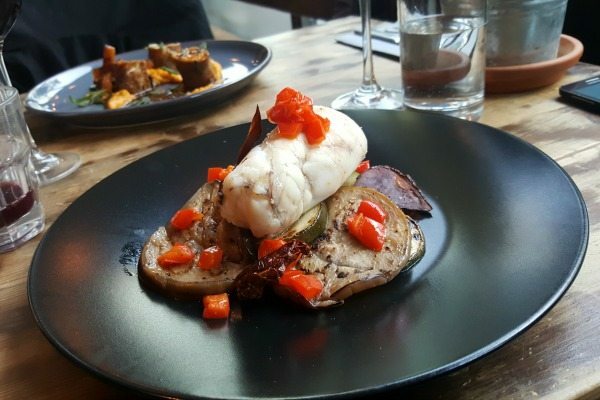 Next we were presented with a perfectly plump poached monkfish, atop bed of cold roasted Mediterranean vegetables, and served with home crisped tomatoes fresh from the Grow 40 garden. Monkfish is easily becoming my new favourite fish, it’s got such a beautiful texture and when cooked properly it melts in your mouth. This dish was paired with the Chablis La Lotte Chardonnay, and the buttery wine was the perfect compliment to the fish. Now I am not usually a big Chardonnay fan, which coming from a Californian is like a Brit saying they don’t like fish and chips, but I have to say these were delightful. Usually a California Chard is so heavy and oaky you feel like you’ve been beaten about the face with an oak flavoured mallet…which some people love, but I prefer a complex flavour and a crisp and clean finish which both these stunning whites provided. So if you are a hesitant chardonnay drinker, please do yourself a favour and go to Grow 40 to speak to their incredibly knowledgeable and adorably French sommelier who can point you in the right direction. A divine and delectable experience! Once again Grow 40 has pulled out all the stops and really wowed me. 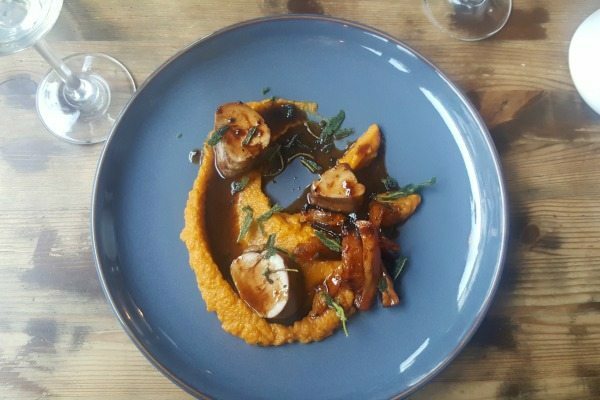 I love the atmosphere the service, the food and of course the wine and I would not hesitate for a moment to recommend this Brighton gem to anyone.